THE HAGUE, WILLEMSTAD - The decision of the Supreme Court in the Babel case is on 27 November. Earlier the Court announced that October 16 was the date for the ruling, but it was postponed, says the lawyer of Gerrit Schotte and Cicely van der Dijs, Geert Jan Knoops. Reason for the postponement is unknown. The Attorney General of the Supreme Court advised the Council on 4 September to reject the cassation appeal. 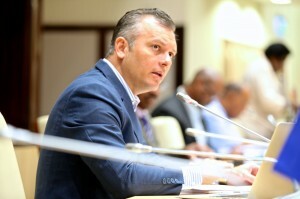 Gerrit Schotte, the former prime minister of Curaçao, has been sentenced to three years in appeal for official corruption, money laundering and forgery. He may remain at liberty until the last court decision in cassation will be known. If he loses the case in cassation he is then not allowed to hold a political office for the next five years.